JamisonMoneyFarmer expands its support for German businesses with Managing Shareholder's election to the AGP Board of Directors. My involvement reinforces our firm’s commitment to serving the German-owned business community and those Alabama companies that are owned by or work with German companies." Chandler said. Bryan Chandler, managing shareholder at JamisonMoneyFarmer PC, has been elected to the board of directors of the AlabamaGermany Partnership (AGP). The AGP is an Alabama nonprofit corporation formed in 1998 to develop and support relationships and friendships between organizations and individuals in Alabama and Germany. The membership is comprised of German companies located in Alabama, companies and entities wanting to do business with German companies, and state academic and cultural institutions interested in German culture and language. AGP is an affiliate of the German American Chamber of Commerce of the Southern United States. As a member of the AGP board, Chandler looks forward to encouraging business opportunities between organizations and individuals in Alabama and Germany. “My involvement reinforces our firm’s commitment to serving the German-owned business community and those Alabama companies that are owned by or work with German companies, by understanding our local tax and accounting environment and the complexities and subtleties of advising these businesses,” Chandler said. Chandler joined JamisonMoneyFarmer (JMF) in 1978, becoming a shareholder in 1985 and has served as the firm’s managing shareholder since 2005. Currently, he leads the JMF German Automotive Manufacturing and Suppliers strategic initiative. After earning his bachelor’s degree from the University of Alabama, he became a CPA, a certified financial planner and a personal financial specialist. 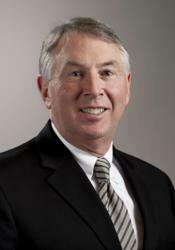 He has served in numerous local leadership positions, including past chairman and current board member of the Tuscaloosa County Industrial Development Authority, past member of the Tuscaloosa City Board of Education, and past board member and chairman of the Tuscaloosa Symphony Orchestra. He is a member and lay leader of First United Methodist Church. Natives of Hale County, Chandler and his wife Theresa have three children and three grandchildren. Founded in 1920 in Tuscaloosa, Ala., by the late Carl C. Jamison, one of the first certified public accountants in the state, JamisonMoneyFarmer PC employs over 80 professionals and support personnel, including 12 shareholders. It is a top 10-ranked firm in Alabama. JMF primarily serves privately held businesses and their owners, government and not-for-profit organizations, and individuals in Alabama and throughout the Southeast with a full range of accounting, tax and consulting services. The American Institute of Certified Public Accountants recognizes JMF as one of the G400 elite firms in the country. The firm's knowledgeable, innovative and client-focused professionals are committed to providing tailored services across a wide range of tax, audit, accounting and advisory needs to achieve each client's unique financial goals.